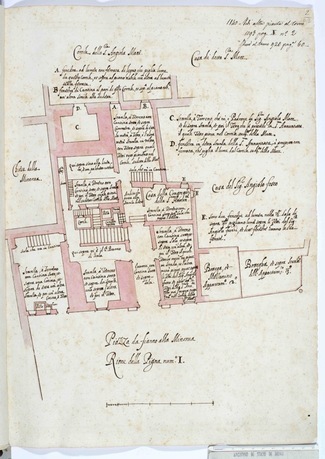 Archivio di Stato di Roma, SSma Annunziata 920, 1563, plan. 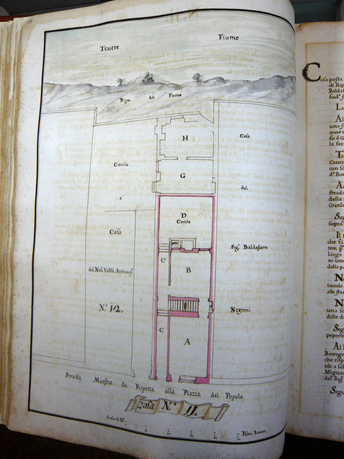 In the 1560s, religious institutions began to integrate visual representation into inventories of urban property that had previously been exclusively textual. The form of these images was abstract rather than pictorial, the product of measurement, and—in the later books—of geometric survey. They represent the earliest application of survey to the archival record of the city and they transform the nature of documentation. The textual portion of the record itself becomes more elaborate, and this is important because in provides the best evidence of the new consciousness that visual representation stimulated. The plans, too, evolve, extending beyond the individual property to document its spatial context and relating each building to the city as a whole. 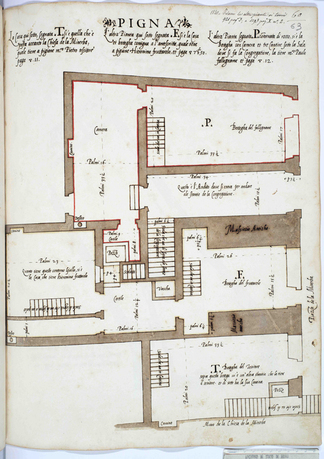 The thesis of this inquiry is that the nature of these archives provides a unique window on a changing idea of the city and the role of mapping in that transformation. 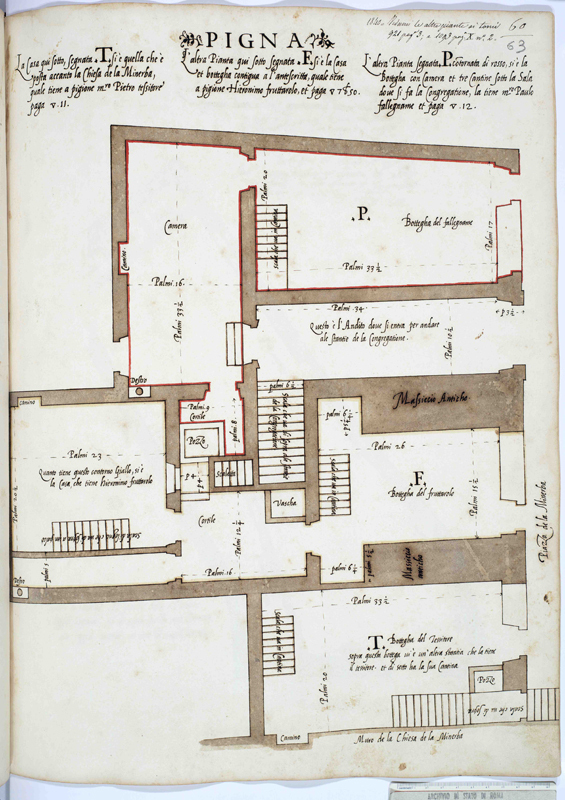 Trained as an art historian, David Friedman specializes in the early modern history of urban design, where he has a long history of working in the archives. Teaching within an architecture school has made him very aware of the impact of the design method on the architectural product. He teaches graduate seminars on the history of representation, as well as the history of urbanism. He is an associate professor and has served as chairman of the History, Theory and Criticism Section in the Architecture School at MIT. In addition to the book project on survey and urban design, he is responsible, with an Italian colleague, for programming a new museum about the history of medieval urbanism and the foundation of towns sponsored by the city of Florence and the town of San Giovanni Valdarno.